Yes please. My Romanians have had the unexpected side effect of getting me interested in finally painting my dream Soviet force: an Opolcheniya Batalon (or Militia Battalion). Rated as Confident Conscript, these troops are among the worst in the world of Flames of War. This of course compels me to play them. The only problem is the amount of infantry one has to paint to field them, indeed an endemic problem for all Soviet infantry lists. I've been wanting to build this list since 2004 and I bought all the necessary figures over the course of time. They are all Mid-war figures, which I tend to favor over the late-war ones. But since the Militia is a mid-war organisation, these figures are ideal for that task. So, with the figures sorted out, next comes the painting... I've come up with a plan, which I mentioned briefly in one of the Romanian articles. I plan to tackle the Militia as a paint escalation project. Starting with a Soviet force with a light infantry requirement, and slowly growing it into the Militia by adding platoons and further infantry to existing companies. So, I'll begin with a Tankovy Company with tank riders in support to kick off my SMG teams. Then I'll move onto a Rota Razvedki (recon troops) to increase my support options, such as flame-throwers, etc. From there I'll power through an under-strength Motostrelkovy (motorised troops) to add more support and Rifle/MG teams. Next up is a Strelkovy where I'll make sure I have all the infantry I need for my Militia. 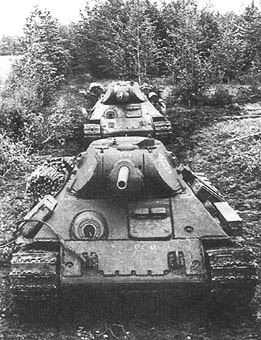 Then, finally, I'll move onto the Opolcheniya, adding flavor platoons such as up-armored T-34s and lots of anti-aircraft guns. This approach isn't new, but I'm going to add a small twist. I am going to try and play at least one game with each force as I work my way through the steps. The lists and games might float between Mid and Late war, but ultimately the objective will be to put together the Mid-war militia. 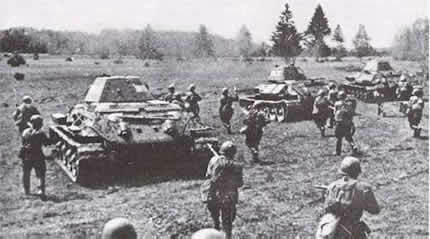 After the disaster of the Soviet army being completely unprepared for the German invasion, the USSR found itself in a desperate situation. 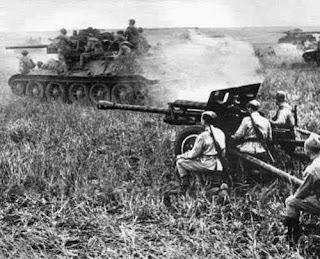 Important cities such as Stalingrad and Leningrad were under siege while the Germans began shelling the country's capital, Moscow. 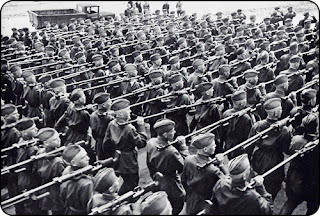 Things were dim, especially in Leningrad where the Germans had completely surrounded the city, cutting it off from the rest of the Red Army. The siege of Leningrad lasted 900 days, and during that time the people inside suffered terribly. 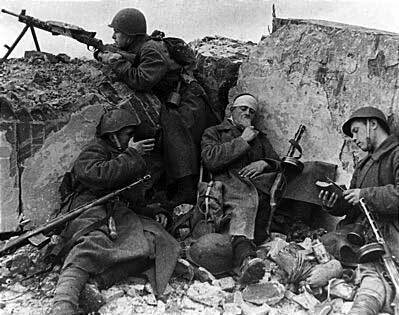 But, despite this, the citizens continued to help the war effort, manning anti-aircraft batteries, working in tank factories, and manning the defenses. 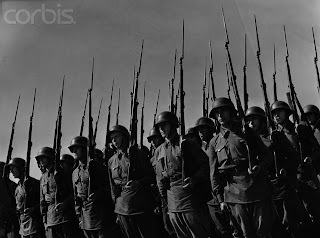 As the Germans kept up the pressure, a shortage of manpower began to plague the city defenses. 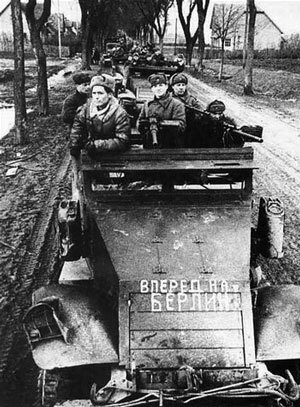 As a result battalions were raised from factory workers to defend their factory from enemy aircraft and land-based attacks, freeing up regular troops to defend the front lines. The men served their country and fellow workers well, and helped keep the tanks rolling off the assembly lines. It's these brave factory workers I want to represent on the wargame battlefields, along with the tanks they built and the anti-aircraft batteries they manned. So, without further ado, I've mapped out the lists that I'll be working on as I move forward in each step. I've got a lot already painted up including: 18x SMG teams, 9x Rifle/MG teams, 4x 76mm obr 1927 guns, 2x HMGs, 1x Komisar team, 5x cmd teams.You can see some photos of these here. I'll likely have a few gallery shots posted up soon of the WIP force. Notes: With this list I intend to bulk out my SMG teams. This will give me enough SMG teams to replace a platoon in two Opolcheniya companies. Notes: This list will help me paint four 76mm ZiS-3 guns, which will grow into an 8-gun battery in step 3 and a 12-gun battery in step 5. Notes: This step will contribute to my Rifle/MG teams. An Opolcheniya company uses only Rifle teams, but I've been basing the infantry with very few LMGs, so they can cover both types. 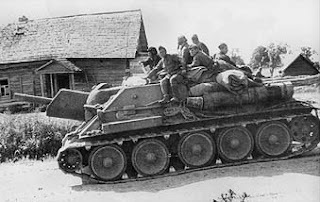 It will also be an opportunity to finish my artillery battery and paint up one last vehicle for my SU-122 and SU-85 platoons to bring them to full strength (I currently only have three of each painted). Notes: This step will demand a lot of painting. But it will certainly help with what I'll need for the next and final step. I'll be able to fill out some platoons here and there, such as the remaining rifle and light mortar teams. Notes: This is the final step. I've added some uparmored T-34s and an AA platoon. This reflects the nature of the militia units formed from factory workers to defend their factory. I figure the T-34s were likely produced at the very factory my militia is protecting! There we have it! After all of that I should have a fair amount of Soviet stuff painted in the end. If I wanted to do the super infantry horde (something also in the cards), I'll only have one or two strelkovy-sized units to paint up thanks to this exercise. Right, so time to get with it and pile into the project. This, along with my Romanians and Americans (Brittany) means I've pretty much got this year's FoW painting lined up! I feel exhausted just thinking about this. I just can't bring myself to paint the horde. I stopped at the rota company when I was building My 8ya Otdyenaya Strafnoy. I should have built more but I love my rota company. Im telling you that the UC are ten times beter then the normal us 1/2 tracks, you get alot more MGS and you have less models in each half track, since you only will have one you will only lose one if you lose a UC. The armor differince means nothing really, IMHO. Steve, man. Yous gotta open your horizons! Soviets are pretty intense to play and they really play differently than you'd expect! Meh.... .50 cals rock, keep at least a few M3A1s IMHO, although Soviet UC are really cool. You are of course, completely mad. Well done! I looked at my Commando Army a while back and found I had painted about 310 figures...it doesn't seem nearly that many, but it is. 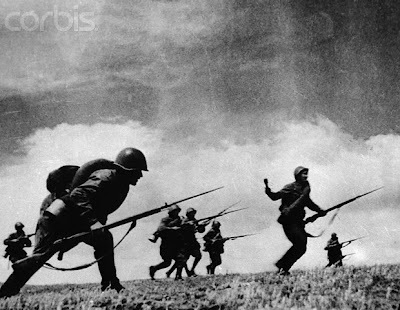 IMHO many Soviet Infantry forces have similar numbers (OK, maybe not THIS Soviet force), they just appear larger than others when that is not always the case. 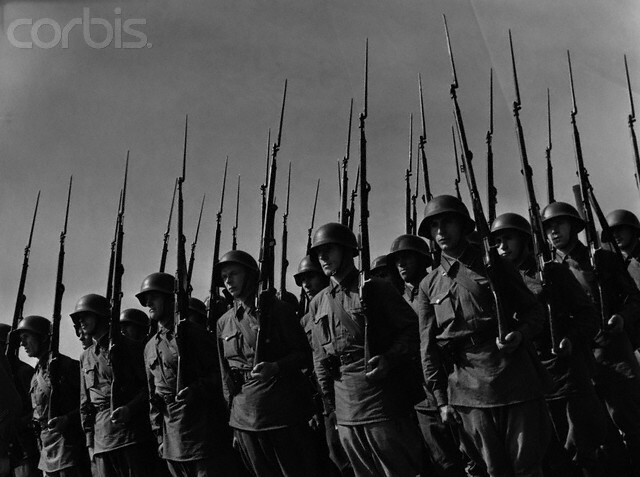 For instance, when compared with US or British Rifles and their array of support, the numbers are not that far off. I think your way is definitely the right one to build up for a larger force. I have that weird urge to play Russians. But I need to raise the forces like you did ... over time. Painting wise I am not worried ... I love to paint. Its crazy, huh? I say if you got the urge to paint Russians you best get on that pronto, as it doesn't come around that often! I shall crush them with my mighty Hungarians!